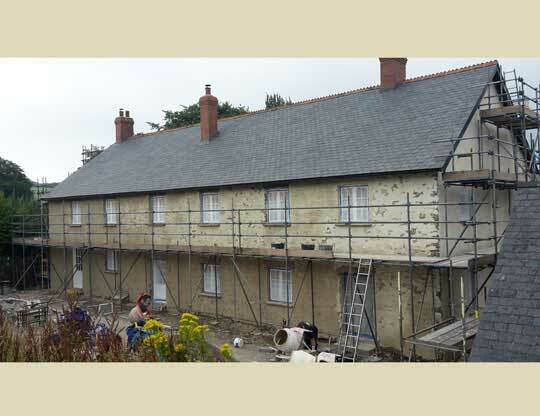 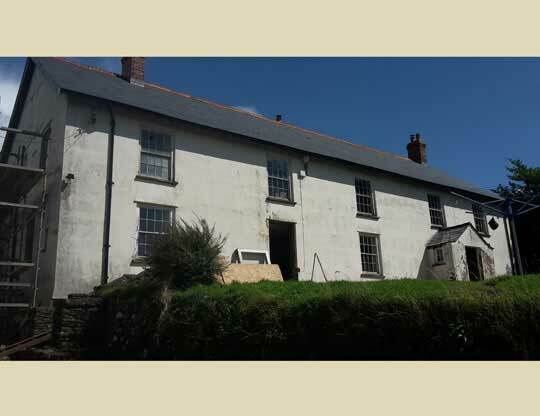 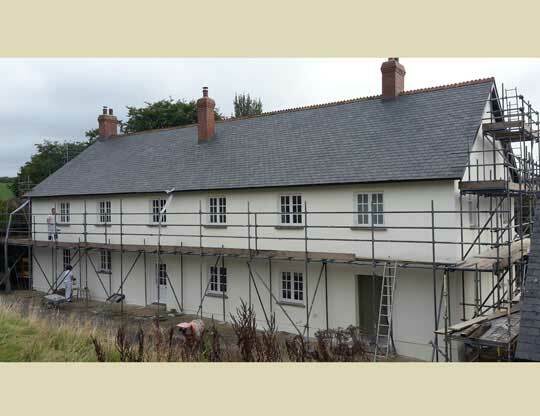 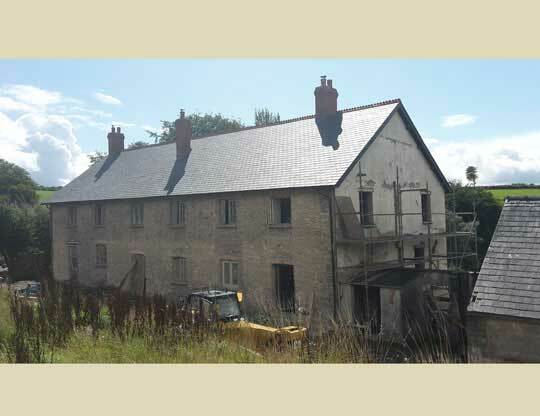 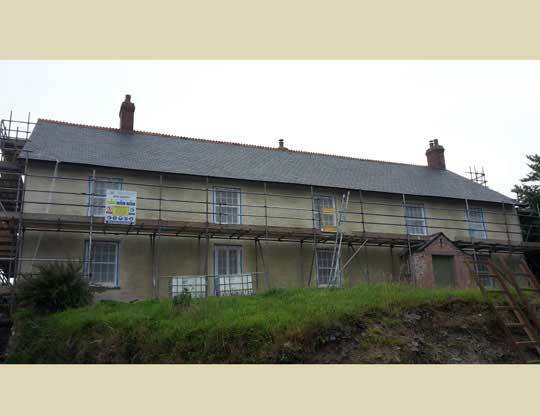 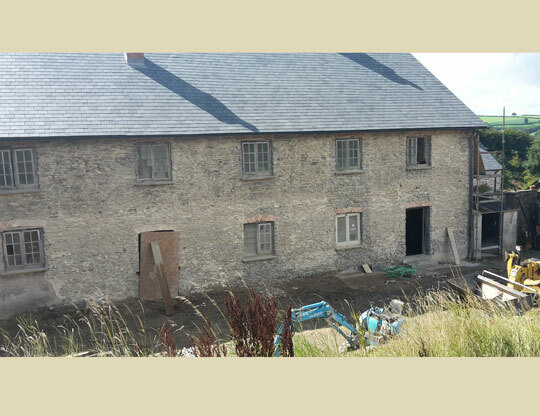 This large Listed Exmoor farmhouse was suffering from years of neglect and an inappropriate cement render. 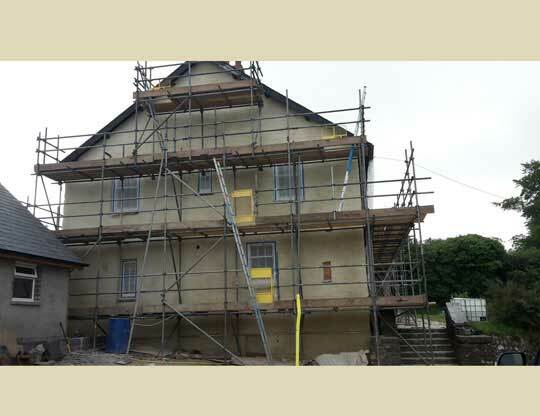 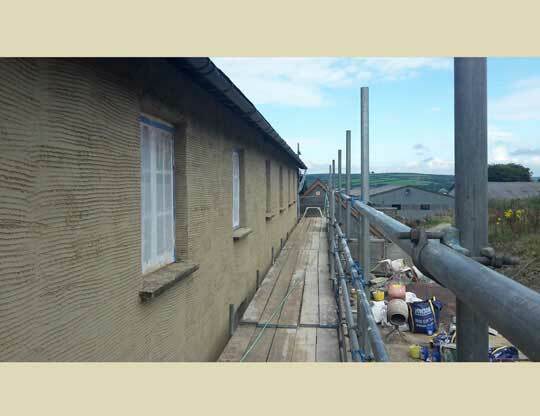 Woodlouse Conservation were recommended to the main building contractor to carry out the specialist lime render works. 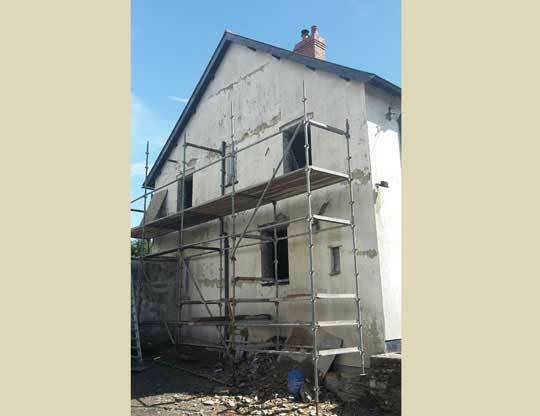 Once the old render was removed the Woodlouse Team applied a three-coat ‘Scrape & Bag’ lime render, using a massive 36 tonnes of lime! 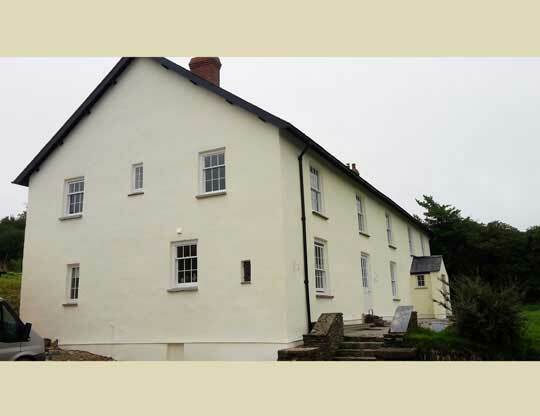 Almost 400 litres of mineral silicate paint were used during final decoration works. 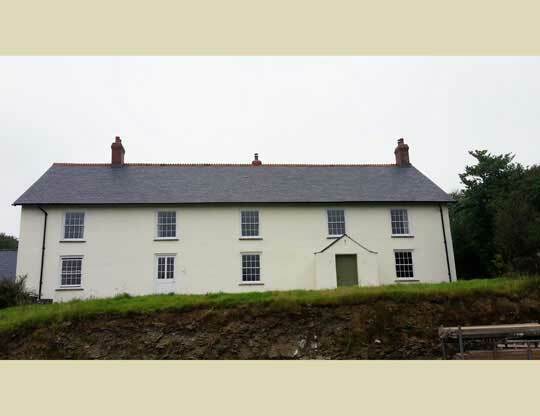 Installation of guttering and down pipes finished the project.